Cobain on Cobain places the reader at the key moments of Kurt Cobain’s roller-coaster career, telling the tale of Nirvana entirely through his words and those of his bandmates. Each interview is another knot in a thread running from just after the recording of their first album, Bleach, to the band’s collapse on the European tour of 1994 and Cobain's subsequent suicide. 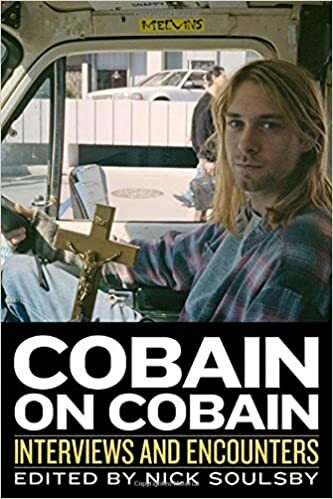 Interviews have been chosen to provide definitive coverage of the events of those five years from as close as possible, so that the reader can see Cobain reacting to the circumstances of each tour, each new release, each public incident, all the way down to the end. Including many interviews that have never before seen print, Cobain on Cobain will long remain the definitive source for anyone searching for Kurt Cobain's version of his own story.